Lee Chong Wei was born on 21 October 1982, he is a Malaysian professional badminton player. As a singles player, Lee was ranked first worldwide for 199 consecutive weeks from 21 August 2008 to 14 June 2012. He is the fourth Malaysian player after Rashid Sidek, Roslin Hashim and Wong Choong Hann to achieve such a ranking (since official rankings were first kept in the 1980s), and is the only Malaysian shuttler to hold the number one ranking for more than a year. Lee Chong Wei was born on 21 October, 1982 in Bagan Serai, Perak, Malaysia. In his early years, he favoured basketball, however his mother soon banned him from the game due to the searing heat of the outdoor basketball court. Lee began to learn badminton at the age of 11, when his father, who liked to play the game, brought him to the badminton hall. Attracting the attention of local coach Teh Peng Huat, who asked Lee’s father if he could take him as a student. After receiving his father’s consent, Teh began to train Lee after school. Discovered by Misbun Sidek, he was drafted into the national squad when he was seventeen years old. Lee received RM300,000 on 21 August 2008, as a reward for his silver medal effort in the 2008 Olympic Games. Also, he received RM3,000 a month as a lifetime pension beginning in August 2008. For the same achievement, he was conferred with a Darjah Setia Pangkuan Negeri (DSPN), which carried the title Datuk by Governor of Penang, Abdul Rahman Abbas on 30 August 2008. He was appointed as the UNICEF Malaysia’s National Ambassador in February 2009. On 6 June 2009, Lee received the Darjah Bakti (DB) award, from Mizan Zainal Abidin, in conjunction with the Birthday of Seri Paduka Baginda Yang di-Pertuan Agong, for his achievements in the 2008 Olympics. He was in a relationship with Wong Mew Choo, his teammate. In 2009, Lee and Wong announced they are no longer together during the 2009 World Championships in Hyderabad, India. However, Lee announced his reconciliation with Mew Choo after winning a silver medal in 2012 Summer Olympics. They were married on 9 November 2012, and had two children, Kingston and Terrance, which were born in April 2013 and July 2015 respectively. On 16 March 2011, Lee received Permodalan Nasional Berhad shares worth RM100,000 from Najib Tun Razak soon after his triumph in the All England Open. He was appointed as KDU University College ambassador on 31 July 2011. Lee’s autobiography Dare to be a Champion was officially published on 18 January 2012. On 5 July 2012, Lee was conferred the rank of Lieutenant commander (Honorary) of the Royal Malaysian Navy Volunteer Reserve Unit. On 7 October 2016, Lee was promoted to the rank of honorary Commander of the Royal Malaysian Navy Volunteer Reserve Unit in recognition of his success at the Rio de Janeiro Olympics. On 15 October 2016, Lee was made a recipient of Darjah Cemerlang Seri Melaka (DCSM) carrying the title of “Datuk Wira” from Malacca Governor Mohd Khalil Yaakob. In September 2017, he was conferred Panglima Jasa Negara (PJN), which carries the title Datuk, by the Yang di-Pertuan Agong Muhammad V.
Wong Mew Choo, married in 2012. Datin Wong Mew Choo is a former badminton singles player who played for Malaysia. She was known for her exceptional stamina and endurance. Lee Chong has two sons; Kingston Lee and Terrance Lee. The father of world No. 1 shuttler Datuk Lee Chong Wei has started a new chapter in his life. Sixty-one-year-old Lee Ah Chai married a 28-year-old clerk from Bukit Mertajam on Thursday. The elder Lee said he had been blessed with a caring wife who stayed by him through hard times over the years. “I got to know her eight years ago at the Berapit badminton court. We were friends then and she was very supportive,” he said when asked about his marriage. Ah Chai, a former salesman and a kotai (stage show) singer, said him and Chong Wei’s mother, Khor Kim Choi, 60, divorced in September last year. “She and my four children will always be on my mind. My ex-wife and I had spent 30 to 40 years together, and there will always be memories. My heart is now with Goh, who has provided me with support and care, and I treasure her,” he said in between tears. Chong Wei had reportedly not invited his father when he married women’s badminton ace Wong Mew Choo in a high-profile wedding in November 2012, where the guests included the Yang di-Pertuan Agong and Prime Minister Datuk Seri Najib Tun Razak. Months earlier, Ah Chai caused a stir when he stopped his car on the Penang Bridge, leading to various speculation. Ah Chai made waves again after he posted a photo of him and Goh posing in wedding attire on his Facebook page on Friday. Many netizens showered Ah Chai (a.k.a Steven) with best wishes and congratulatory messages while some teased and took a few digs at him. Asked to provide his marriage picture, Ah Chai declined. “We do not want the publicity and I do not want to cause any trouble to (Chong) Wei. I hope he will do well in whatever he is doing and I wish him all the best,” he said. Readers like Roy D Garp and Kuang Say Tuang expressed hope for Ah Chai and his new wife to produce another badminton champion. “Please produce another Lee Chong Wei! We Malaysians count on you!” Kuang quipped. However, some expressed dismay that the marriage had drawn public attention. Chong Wei’s brother is called Chong Hoon. Lee Chong weighs 60 kgs. A visit to a property showroom normally doesn’t grant anyone a free home unit. Unless of course, you are Datuk Lee Chong Wei. The national shuttler visited a Cheras showroom and had reportedly shown interest in investing in a condominium unit days before he left to compete for the Rio Olympics 2016. Fast forward to today, property developer Orando Holdings said it is giving the 32-year-old Olympian athlete a complimentary condominium unit worth RM1.5 million for his contribution to the Malaysian sports scene. According to The Star, the gift, which is a fully-furnished three-bedroom unit at Lavile exclusive condominium of 1,100 sq ft in Taman Maluri will enjoy the view of the capital’s iconic Kuala Lumpur City Centre. The 38-storey condominium is estimated to be completed in 2020. Orando managing director Datuk Eng Wei Chun said for now, the said condominium doesn’t include a badminton court facility. Eng (pictured) said he wanted to wait for the Rio games to end for the big announcement and hopes this would inspire more young Malaysians to excel in sports. The developer said it sees the act as a form of corporate social responsibility. Lee, who’s now a three-time Olympic silver medallist, will also be receiving RM637,888 from the National Sports Council and the Badminton Association of Malaysia. Other rewards include a Proton Suprima S 1.6L Turbo Premium and a RM3,000 monthly lifetime pension. Lee Chong is 1.72 m high. Used by the World No. 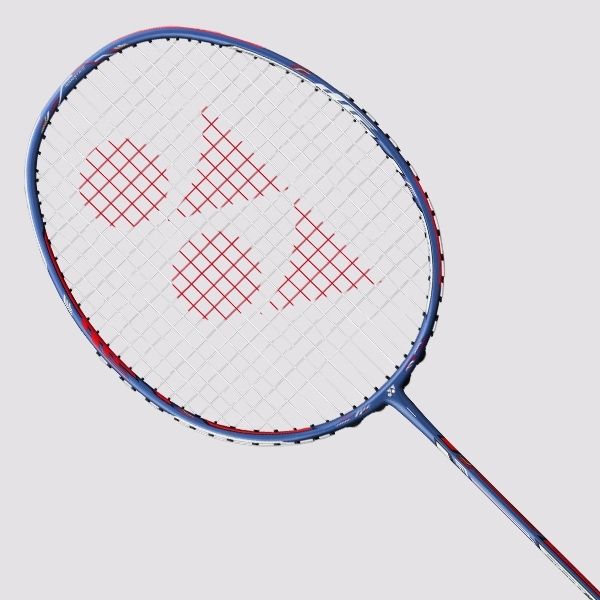 1 badminton player, Lee Chong Wei of Malaysia, the Armortec 900 PLC (Power Lee ChongWei) Limited Edition Signature Series badminton racket is one of the most aggressive racket Yonex ever made. Hendrawan is a former Chinese Indonesian badminton player. Hendrawan began playing internationally in the early 1990s but at first was overshadowed by a number of his countrymen who rated among the world’s elite players. He now coaches Lee Chong Wei. And there is every likelihood, the three-time Olympic silver medallist will have to hang up his racket. If this happens, his participation in the Indonesia Open, where he bowed out in the semi-finals on July 7, would be his last international outing after a 17-year career. Chong Wei’s health issue made the headlines after the BA of Malaysia (BAM) confirmed that he was withdrawing from the World Championships in Nanjing, China which begin on Monday and the Asian Games in Indonesia from August 19 to 28. According to a statement issued by the national badminton association last Tuesday, Chong Wei was facing breathing problems, and he would need to rest for a month to undergo treatment and would not take part in any form of physical activities. “This is very sad news when our badminton hero, who has contributed so much to the country, is suddenly facing health problems,” said the source. “Everybody knows that he is a model athlete who always takes good care of his health and fitness. Meanwhile, Chong Wei could not be reached for comment yesterday on the matter. In his illustrious career, Chong Wei has won 69 titles on the international stage and his best achievement is winning three Olympic silver medals in 2008, 2012 and 2016, and emerging as runner-up in the World Championships thrice as well in 2011, 2013 and 2015. Now is the time for Malaysians to pray for Chong Wei’s full recovery after what he has done for the country and the sport. Aug 26 — Badminton world No.1 Datuk Lee Chong Wei has dismissed rumours alleging that he has a net worth of around RM300 million. [Admin] What a historical win it must be for Datuk Wira Lee Chong Wei 李宗伟! He beat the amazing Kento Momota from Japan ?? (with an unbeaten run of 21 games!) 21-17, 23-21 to take his 12th Malaysia Open title on his 850th international match of his entire career! And this time, he gets to celebrate it with his kids ❤️ #MalaysiaOpen2018 #CAMO2018 ?? In an unexpected move, the Badminton Association of Malaysia (BAM) have named national shuttler Cheam June Wei to replace Lee Chong Wei in the men’s singles at the Asian Games in Indonesia next month. BAM president Datuk Seri Norza Zakaria said the 21-year-old who is the Dutch International champion is currently the preferred choice of national men’s singles head coach Datuk Misbun Sidek. June Wei also finished as runner-up at the Finnish Open in April and the Austrian Open in February. The national team’s hopes at the Asiad and World Championships in Nanjing was dealt a massive blow on Tuesday after the 35-year-old Chong Wei withdrew from the two tournaments due to a respiratory problem and will be out for at least a month. “Among the names considered were Iskandar (Zulkarnain Zainud­din), Lim Chi Wing and June Wei,” said Norza, adding that several factors including Iskandar’s knee injury were discussed. The BAM president said due to Chong Wei’s absence, the earlier target of three medals by the badminton team at the Asiad will have to be reduced to two. Norza who is also OCM president said they will send in June Wei’s name as soon as possible as they will also need to file an appeal to the Indonesian Asian Games Or­gani­­sing Committee (INASGOC). He added that they are currently giving Chong Wei time and space to undergo his recovery. The other three in the men’s singles line-up are debutants Lee Zii Jia, Leong Jun Hao and Soong Joo Ven while the men’s doubles players are Goh V Shem, Tan Wee Kiong, Ong Yew Sin, Teo Ee Yi, Chan Peng Soon and Goh Soon Huat.